Nylon and polyester are two of the most popular materials in the synthetic carpet fiber market. Your needs, environment, and budget will determine which one is best for you. Let’s examine some of the key differences between nylon and polyester carpets. One of the biggest considerations in any carpet purchase is over the carpet's durability. 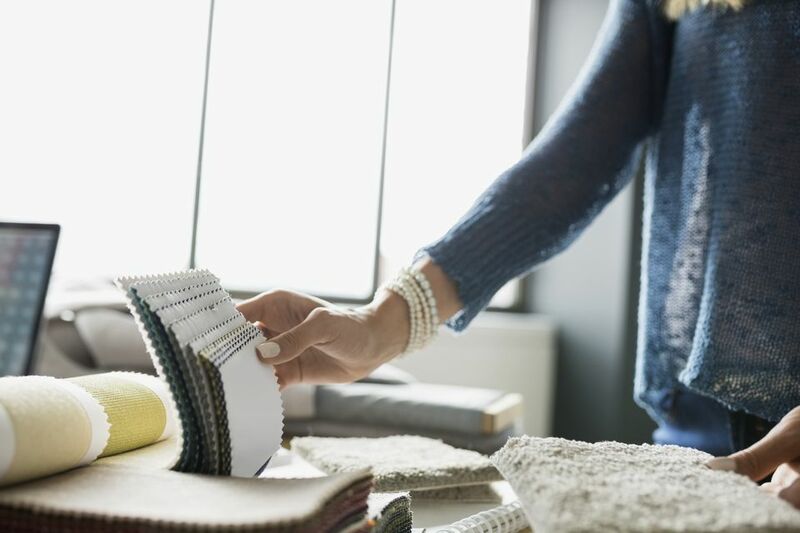 Most consumers want a carpet that will stand up to daily wear and tear and still manage to look good for the next decade or so. Nylon carpet fiber is well-known as being very durable. It has long been considered to be the most durable synthetic carpet fiber available (although some would say that PTT triexta is now a worthy contender for this title). The secret to nylon’s durability lies in its resiliency—its ability to literally “bounce back” from compaction. Polyester is generally considered to be a less durable fiber than nylon. It lacks nylon’s high resilience, and will typically begin to show signs of wear due to foot traffic in less time than nylon. It's important to note that both nylon and polyester carpets are available in a wide range of qualities, and so a high-grade polyester carpet may outperform a low-grade nylon carpet. As always, when comparing two different carpets, be sure that they are of equivalent quality. When it comes to stain resistance, polyester comes out ahead of nylon. Polyester is a hydrophobic fiber, which means that the fiber itself repels liquid. By contrast, nylon is very absorbent, so it soaks in liquid and therefore spills. All residential carpets on the market today feature some stain protection. Both polyester and nylon carpets are treated to help prevent spills from setting in and staining the fibers. Even though nylon on its own is less stain-resistant than polyester, nylon carpet that has been treated can be stain-resistant. Some nylon is solution-dyed, which means that the color goes completely through the fiber instead of being just on the surface. Solution dyeing dramatically increases the stain resistance—and fade resistance—of nylon. Unfortunately, not many residential nylons are solution-dyed, due to the logistics of manufacturing. PET polyester is well-known for its environmental features, as it is often made from recycled materials such as plastic drink bottles. Shaw’s ClearTouch and Mohawk’s Continuum are two popular collections made from this recycled fiber. In recent years, much advancement has been made in improving the eco-friendliness of nylon fiber. Many nylon carpets are now recyclable at the end of their useful life, which helps to keep these carpets out of landfills, where the carpet sits indefinitely. Also, an increasing number of nylon carpets are now made from recycled content. Some nylon carpet can be recycled back into nylon carpet, creating a cradle-to-cradle cycle that has significant environmental benefits. Both nylon and polyester carpets can be eco-friendly. Beware, though, as not all carpets have these features; be sure to read the manufacturer labels and talk to your salesperson about which carpets are environmentally friendly. Softness can be a big factor in choosing a carpet, as it is often one of the main reasons people prefer carpeting over a hard-surface floor. Luckily, carpet today is softer than ever before, thanks to the production of carpet fiber in thinner, finer strands. Both nylon and polyester carpets have many styles available in soft fibers, without a noticeable difference in the feel from one fiber type to the other. Another determining factor in selecting a carpet is the cost. Overall, nylon is the most expensive synthetic fiber to produce, and so a nylon carpet usually costs quite a bit more than a comparable polyester carpet. Again, this is comparing two carpets of equivalent quality; lower-priced nylons and higher-priced polyesters exist. Generally, nylon is a more expensive fiber. As you can see, neither fiber comes out as the clear winner. Each has its benefits, as well as its drawbacks. If you are looking for a carpet that will perform well in heavy traffic conditions over the next 10 years, nylon is likely your best option. If budget is your biggest concern, then you will probably want to choose a polyester carpet. With the right information, you can consider your carpet needs and determine which fiber type is best for your home.